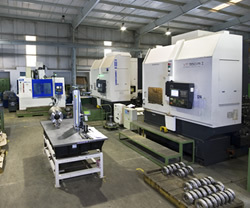 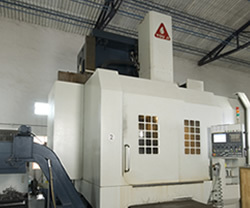 Our well-equipped Machine Shop with a built up area of over 100,000 sq.ft has all the advanced facilities under one roof. 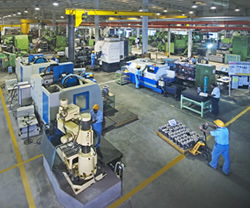 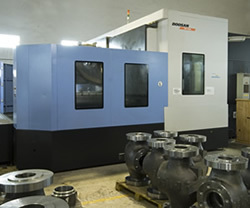 The state-of –the-art machining technology and modern manufacturing concept like lean sigma enables us to produce high quality machined castings and deliver on-time. 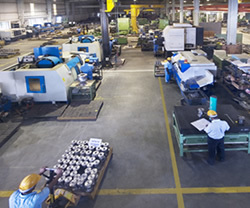 We have strengthened our infrastructure base with advanced and sophisticated machineries including a robotic stellite welding over lay machine, for developing a wide array of high quality machined steel castings. 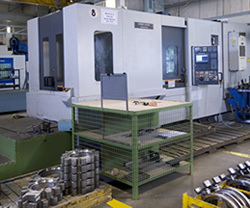 The distinctive array of machinery installed in our unit, our expertise in this sphere and the modern manufacturing concept lean sigma for tooling, scheduling and process control enables us to deliver high quality steel machined components with the best lead time in the industry.